Modem UMTS integrato. Connettore per antenna esterna SMA. Modem WCDMA e radio WLAN con antegna integrata ad alto guadagno. Access Point WiFi. Inoltre verranno fornite le istruzioni per una rapida installazione in lingua italiana. TP-LINKs Archer MR200 eignet sich ideal für den Einsatz unterwegs oder in ländlichen Gegenden ohne DSL-Verfügbarkeit. Modell Archer MR200. Handys & Kommunikation. Computer, Tablets & Netzwerk. Der Archer MR200 verfügt über ein integriertes 4G/LTE-Modem und einen SIM-Kartenslot. 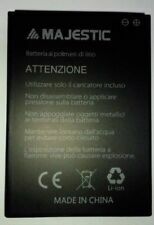 MAJESTIC BATTERIA LITIO ORIGINALE PER MAJESTIC SPH- ARES 83 2400 mAh 3.8V NUOVO. Model MAJESTIC SPH - ARES 83. A norma del D.lg. In nessun caso verranno accettati, prodotti con manomissioni, con guasti, carenti degli accessori a corredo. And provides up to 4,500 sq. ft. of coverage. Google Wifi app. 6.5 ft Ethernet cable. 2 Gigabit Ethernet ports. Conference Enabled: false. 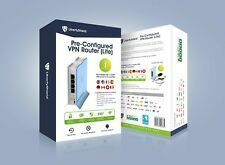 Protects your network against hackers and eavesdroppers. Makes it simple to share your password with guests and prioritize devices on your network. Angeschlossen, ist die Basisstation verfügbar für jedes System mit Airport oder WLAN Karte, egal ob Mac oder PC. Apple Modell Nr. : A1521. Apple Stromkabel | Power Cable. Apple Model No. [ BasisStation | Base Station ]. Latest Wireless-AC technology for simultaneously streaming and gaming on multiple devices. Killer prioritization engine automatically recognizes network usage and prioritizes 4K streaming and gaming. Then, place a new order for the item of your choice. The Wifi Pineapple NANO From Hak5 Is Here. Get One While You Can. This is what we have all been waiting on folks, the New Wi-Fi Pineapple Nano. Add this little beauty to your arsenal while it's available here. 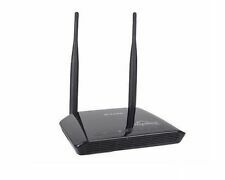 ASUS Dual-band Wireless-AC1900P Gigabit Router same as (RT-AC68U)- New Open Box. Shipped with USPS Priority Mail. Può raggiungere una velocità di downlink di picco di 600 Mbit / s. Huawei B2368 è flessibile e facile da installare, riducendo al minimo la necessità di installazione in loco da parte dei professionisti, che richiede molto tempo e denaro. This router is in perfect cosmetic and functional condition. I had no issues with it. TP-LINK Archer D7. Die Ware wurde gereinigt und getestet. Leichte Gebrauchsspuren wie Kratzer(-chen) können vorhanden sein. Die Funktion ist einwandfrei. Die Funktion ist einwandfrei. TP-Link Touch P5. Zustand gebraucht / guter Zustand. Die Ware wurde gereinigt und getestet. Leichte Gebrauchsspuren wie Kratzer(-chen) können vorhanden sein. It is unlocked and now runs a stable version of OpenWrt (previously known as LEDE) free open source software. 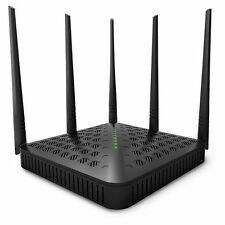 Save yourself the hassle and buy one with OpenWrt preinstalled! Extensive user guide is available on the OpenWrt website. Netgear R8500 5300 Mbps 6-Port Gigabit Wireless AC Router (R8500-100NAS). Shipped with USPS Priority Mail. OPEN SOURCE & PROGRAMMABLE: OpenWrt pre-installed. USB disk extendable. 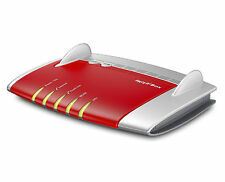 Tethering, 3G/4G USB Modem Compatible. 39g (1.41 Oz) only and pocket friendly. LARGER STORAGE & EXTENDABILITY: 128MB RAM, 16MB Flash ROM, dual Ethernet ports, UART and GPIOs available for hardware DIY. 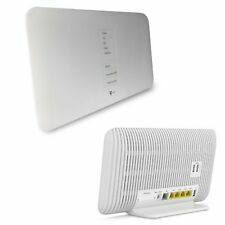 Google Wi-Fi System AC1200 Dual-Band Mesh 3-Pack EXCELLENT!!! These were only used for a few weeks, so they're in perfect condition! Simultaneous VPN Tunnels: 1000. The ONLY VPN that works well in China! Super fast connection and unlimited bandwidth. Monthly subscription for ONLY £8.99. Online privacy and security. Gaming You need the best when you're taking on the online gaming world. The Nighthawk X6 is the pro gaming choice and the latest in AC3000 speed and performance. Dynamic Qu's prioritizes your Wi-Fi bandwidth by application, such as Netflix as well as by device for smoother streaming. 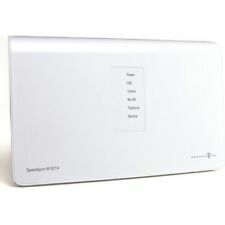 Netgear Nighthawk X4 R7500 2330 Mbps 4-Port Gigabit Wireless N Router.... Condition is Used. Shipped with USPS Priority Mail. Up for sale barely used (customer returned after a week), in excellent working and aesthetic condition! Fully updated with latest firmware and factory reset to default settings -ready to install, like new! Google Wifi AC1200 Dual-Band Mesh Wi-Fi System – Pack of 3,White. Condition is Used. Shipped with USPS Priority Mail. Comes with original power supplies only. No retail package offered. ASUS AC1900 1300 Mbps 4-Port Gigabit Wireless AC Router (RT-AC68U). Condition is Used. Shipped with USPS Priority Mail. Enjoy a fast signal in every room, on every device. So, I only plugged them in, ONCE, to test —then they went right back in box! The perfect combination of performance and ease of use. A competitor. The AC3150 features powerful networking technology so you can do more and lag less. Enjoy 4K/HD video and online gaming simultaneously with 3 x 3 data streams and 6 high-performance antennas.